Virtualization has changed the face of data centres as we know them - creating smaller, more powerful servers; reducing the cost to deploy applications; and making them more agile. It has also created issues for IT groups – multiple interfaces and hardware components, increased difficulty in maintaining quality of service and security, scalability problems, and performance issues. 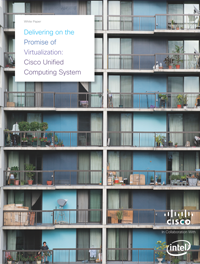 This report highlights how Cisco’s Unified Computing System uses Unified Fabric, Unified Management, Unified Computing, and easy deployment to help companies meet their current and future virtualized environment needs.